ï»¿ Backup Camera suggestions for 2006 CRV with offset license plate? Help! Backup Camera suggestions for 2006 CRV with offset license plate? Help! Thread: Backup Camera suggestions for 2006 CRV with offset license plate? Help! I plan on installing a backup camera on my 2006 CRV; I'm just not sure which kind to go with! My first choice would be a license plate mount for simplicity sake, but because the plate is offset (thanks to the spare tire mounted on the right side of the vehicle), I'm not sure how the image will relay to the display. I'm presuming it won't be centred, but by how much? And will the camera capture part of the spare?? My other option is to drill a hole and centre the camera in my bumper... 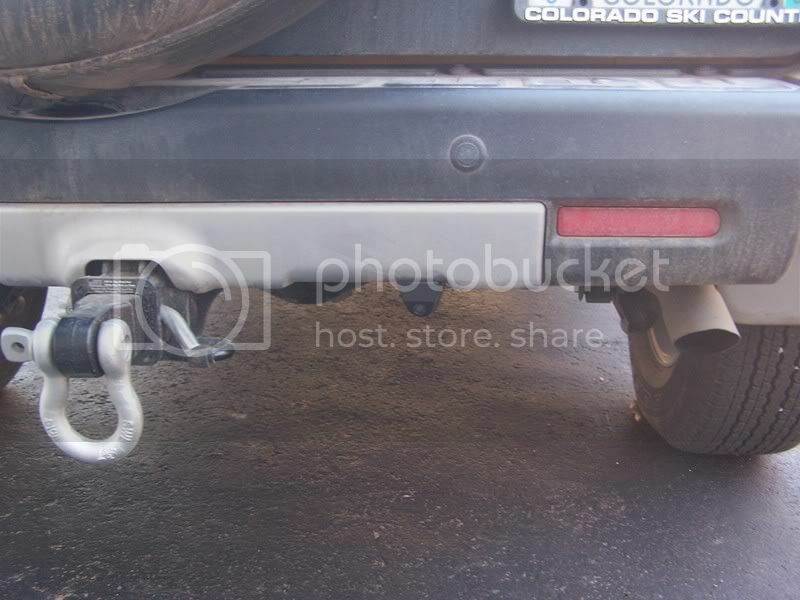 But the odd time I have my hitch rack on the vehicle, I'm pretty certain the camera will become useless. Not to mention install will be a little more work, although in the long-run it should look like a cleaner install though. Does anyone have any suggestions or recommendations? Re: Backup Camera suggestions for 2006 CRV with offset license plate? Help! Photo of your rear end? Offset enough for your bike hitch setup will be fine. have the same issue with my jeep. bought 1 from walmart called top dawg....put it on my L,plate and wasnt to bad, but noticed I could adjust the head of the camerA bc its mounted on a separate thin piece of metal...not saying its the best but I can def see alot more now. Hey, guys! I, too, have a 2006 crv and want buy a backup camera. What do we do with the offset license plate and the wheel almost in the way!??? Hey there! I actually ended up making a little mounting plate to screw the camera onto just above the top right corner of the license plate... so it's mounted to the tailgate plastic. The minor offset isn't noticeable when you're viewing the image on your display, especially since you can (or should be able to) adjust the parking guidelines. I can dig up/take some pictures if you'd like. Thanks for your response, Cory. I had to have surgery and did not see it until now. I would love to see your pictures. Also, what backup camera did you get? Is it wireless? Please post the pictures and explain what you did, I have the same problem. Also what camera did you end up buying? I found a new Android Camera App, I had to tell someone!